If you are into ASIC mining and not GPU mining then there are a whole lot different things you need to take into account, because ASIC miners are usually limited to just one crypto algorithm (there are some that support a couple of algorithms as well). Having a way to quickly and easily keep track of the profitability of currently available and upcoming ASIC miners can be useful and this is exactly what the website ASIC Miner Value does. 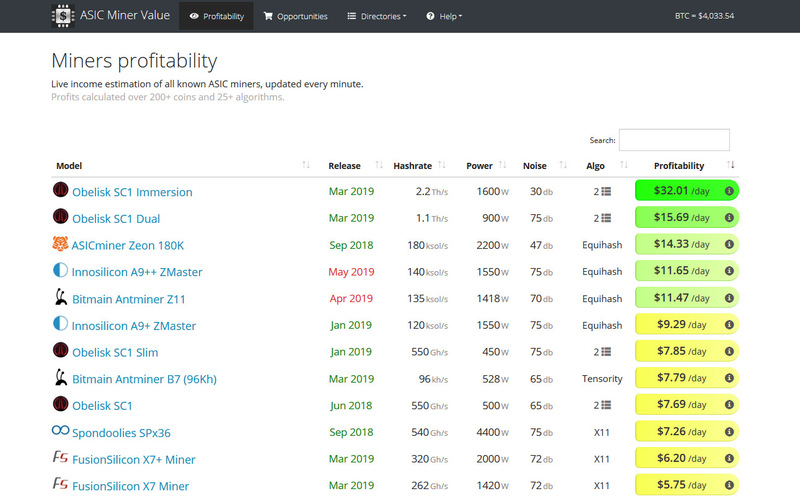 It is an easy to use tool that gives you information on current profitability of pretty much all significant ASIC miners and also gives you a useful list of manufacturers and resellers of ASIC mining hardware around the world. This makes it a useful tool in your quest of finding what is worth checking out in the world of ASIC miners and giving you a good first step in researching for possible good opportunities, so you might want to keep an eye on the list of devices there. easy yes, but not the best.. they hide very best earning mashines from public..